Beverley takes on working Students. Both short-term and long-term places are available and it is possible live in. I first came to Beverley's for a four week work experience - three years later I'm still here!! 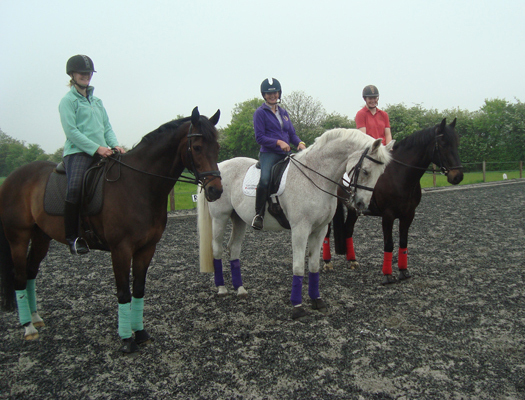 I came to Beverley's every college holiday to help out, have lessons or go to competitions. I then started full time with my event mare, with the intention to continue eventing. After two months of dressage lessons, I was enjoying the dressage far more than jumping so Beverley gave me the opportunity to ride Devil May Care her PSG horse for a year. I went from Prelim to working Advanced on him. After a year riding him we went to PetPlan regionals and came 2nd and 5th. Amazing progress in just one year!! I cannot thank them both enough. 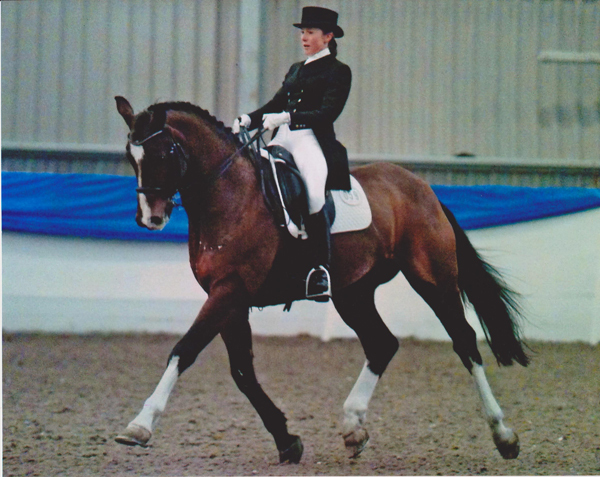 When I started with Beverley I had only ridden to Elementary level in dressage. After her excellent guidance in finding the right horse and tuition I competed in my first BD Intermedieare II only a year later. Beverley has not only been a wonderful trainer who can break anything down into a language you can understand, but she has also been an outstanding mentor that has driven me every step of the way. She explains her instructions clearly and uses them effectively, she also offers great mental support in a competition environment. I hope to ride at Grand Prix level soon and I would recommend to anyone that has the same aspirations as I do and base themselves with Beverley. 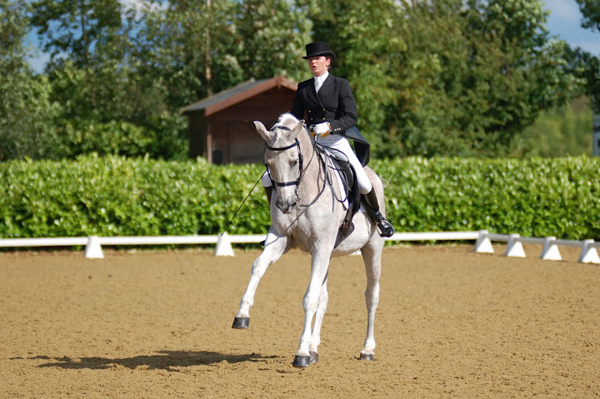 Anybody wishing to improve their dressage skills should book in for some lessons!! My horse Tufao and I came all the way from Portugal to join Beverley's yard at the start of 2010 for six months of training, whilst I studied in Cambridge. We had just started working towards Advanced medium level and were having some problems with flying changes and general canter work. Beverley helped us with the flying changes, with calm and precision she helped us to achieve each one. Her advice on my position and aids also help to improve the canter work. The six months ended up becoming two and a half years and I'm still here!! 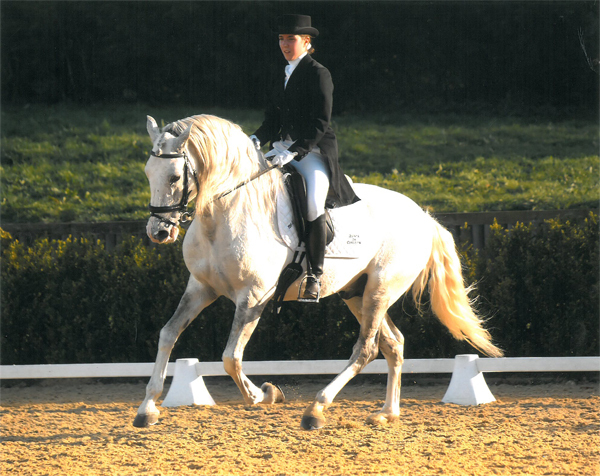 Tufao is my very first horse and as an amateur rider I find it very difficult to get things right first time. Beverley's ability to explain the problems through both the riders' and the horses' point of view has helped me to understand my horse better. All this helped him and myself through all the new moves we've learnt and continue to learn. From her own experience Beverley understands how hard it can be teaching a horse for the first time. Beverley is very forgiving when I make mistakes due to lack of experience, but at the same time is very demanding during our training sessions, motivating us to do better each week.